If you have suffered from facial trauma, the surgeons at Oral Surgical Associates can restore normal, healthy alignment to the jaw. Thanks to our surgeons’ knowledge and clinical skill we can treat even the most complex cases. Drs. Armando Gama and Eugene Morris use the latest imaging devices. With these tools, we can gain a full view of your oral structure and create an effective treatment plan that meets your unique needs. To learn more about facial trauma surgery, contact our Missoula office to schedule a consultation. Facial trauma is defined as any injury that affects the bones, cartilage, or skin on the face. Trauma typically occurs because of a blow, fall, sports injury, or auto accident. At Oral Surgical Associates, we commonly treat fractured and dislocated mandible and maxillary jaw bones. These injuries can cause immense discomfort, swelling, bruising, bleeding, and dental misalignment. 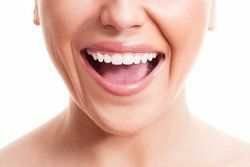 A broken or dislocated jaw can also impair your ability to eat and speak properly, and it can dramatically affect your appearance and facial structure. Fortunately, with proper care, you can enjoy fully restored dental function and a virtually unchanged appearance. Because your treatment will depend on the nature of your injury and the location of your fracture, Drs. Gama and Morris will plan out your surgery with great precision. Our state-of-the-art i-CAT® three-dimensional cone beam system can give us a detailed view of your entire jaw and dental arch. Our surgeons will realign your jaw to prevent future dental erosion and other problems. There are some minor jaw fractures and dislocations that can often heal on their own with manual realignment and simple bandaging. Most commonly, we will rewire your broken jaw back into its normal position. You will wear the wires for four to six weeks. If you have a more severe break, we may put plates in your bone. These plates will hold the jaw in place and prevent further fractures. Our surgeons will carefully monitor your healing. You will attend several follow-up visits so we can tighten or remove the wires. As you heal and the wires are adjusted, you will notice a dramatic improvement in your facial structure. You will maintain a liquid diet for as long as the wires remain in place. Drs. Gama and Morris can help you make good dietary choices to maintain your weight and strength during your recovery. You should also be extra vigilant about your dental hygiene. Although it will be more difficult to brush and floss normally, good oral care will prevent bacterial growth and infection. Following facial trauma surgery, you should expect some swelling and discomfort. The swelling will start to dissipate within the first two or three weeks, although it could take several months to disappear completely. If you have suffered a facial injury, you deserve compassionate, personalized care. Contact our office today to learn how we can repair your jaw, restore your appearance, and revitalize your self-confidence.